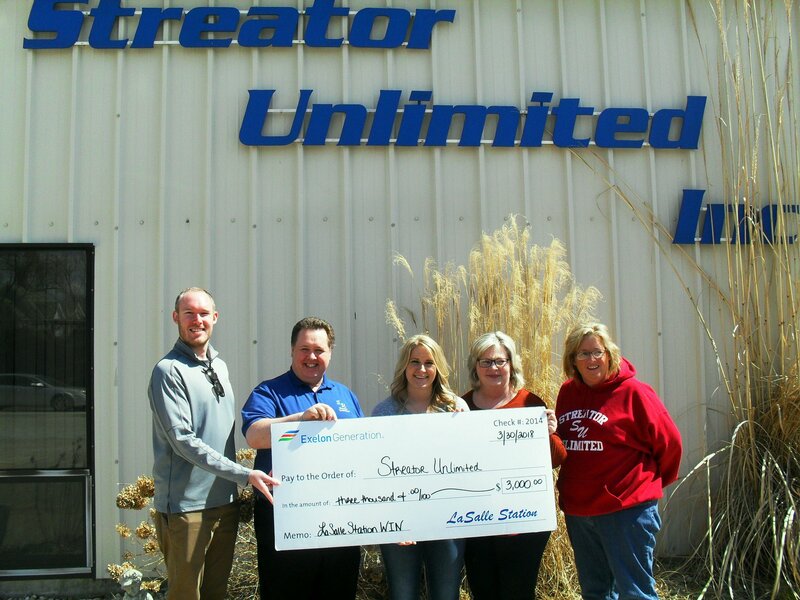 Abby Huff and Steve Larson of Exelon Generation present John Mallaney, Diana Huff and Sherri Stephens of Streator Unlimited with a check for $3,000. The funds will support Streator Unlimited’s services to adults with disabilities. They were raised as part of LaSalle Station Women in Nuclear’s “Let’s Get Hairy” outage campaign. Pictured are Steve Larson, John Mallaney, Abby Huff, Diana Huff and Sherri Stephens. Previous Previous post: New Job in the House!